Item2013.6.36.1.063.01 - M.V. 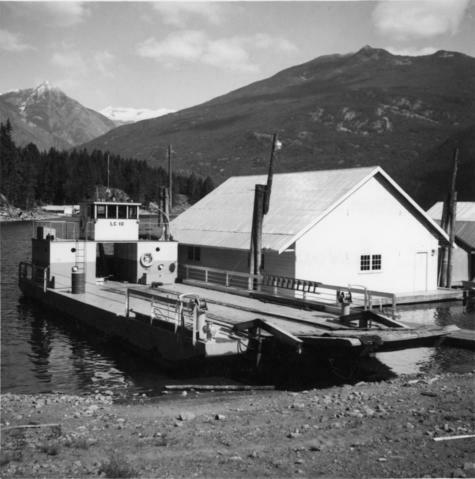 Ferry "Needles"
Item2013.6.36.1.063.02 - BC Department of Highways ferry,"Nimpkish"
Photograph depicts "Landing Craft #10," of the B.C. Provincial Forestry Service.